Carpet Cleaning Services in Knoxville TN. Founded in 1997, Drycon provides Carpet Cleaning, Upholstery & Rug Cleaning and Air Duct Cleaning in the greater Knoxville area. If you need carpet cleaning in Knoxville, then let us do the hard work for you! We will clean your carpets to look brand new again. Carpets and upholstery can take a beating from regular wear and tear, while kids, pets and guests all track dirt and allergens into your home. 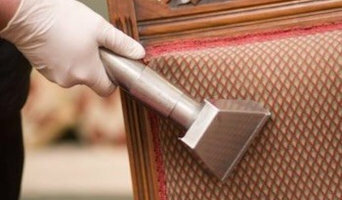 Stop covering up stains and odors – let us clean and revitalize them! We use a specially formulated dry-cleaning agent that is safe for pets and kids - and it has NO WATER SATURATION in your carpeting! In combination with our power clean machines, this means we can have your carpets deodorized, conditioned, groomed and DRY IN 30 MINUTES! We have thousands of satisfied customers in Knoxville Tennessee area and are proud to have an A+ rating from the Better Business Bureau since 1997. We also offer a 100% Satisfaction Guarantee that is second to none. Give us a call or visit our website for a fast, no-obligation quote. Drycon Knoxville Carpet Cleaning – your professional carpet cleaners and upholstery dry cleaning service. Whether you prefer carpeting, ceramic tiles, luxury vinyl tiles, or classic hardwoods, you'll find everything you need when you contact Williams Carpet Sales. Pet damage, burns, bleach, stains or remodels can all require carpet or rug repair. Luckily, quality carpet repair pros in Knoxville, TN can seamlessly patch damaged sections so you won’t be able to tell the old from the new. Some homeowners dare to try carpet patching themselves, but it’s really an art and should be handled by a professional experienced in the subtle nuances of various carpet repairs. Before you run out to replace your entire stretch of carpet, contact a Knoxville carpet repair service near you to save time and money.